Mr. Edwards is the full time instructor of Welding and Joining Technology at Ogeechee Technical College. 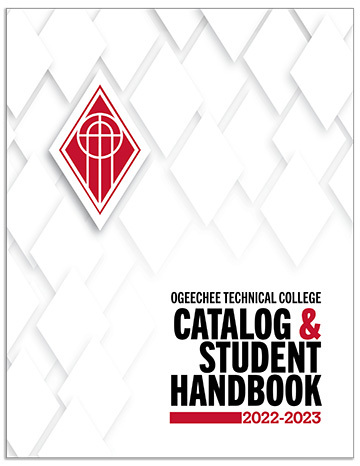 After graduating from Ogeechee Tech with all of his welding certificates, he was hired as the full time instructor in 2010. Since then, he has been certified by the American Welding Society as a Certified Welding Educator and a Certified Associate Welding Inspector. Provide an environment which encourages the individual to benefit and contribute as a partner in economic progress, development, and stability of Georgia. Provide education which develops the potential of each student to become a productive, responsible, and upward member of society. Provide quality welding and joining technology education in an atmosphere that fosters interest and enthusiasm in learning. Prepare graduates to function as accountable and responsible members within their chosen field. Prepare graduates to function as safe and competent practitioners in the welding and joining technology field. 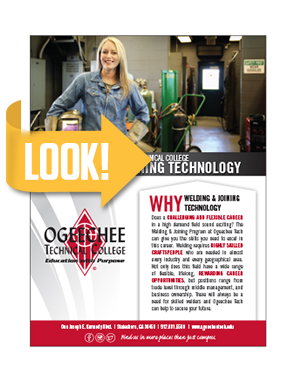 The Welding programs are designed to prepare students for careers in the welding industry. Program learning opportunities develop academic, technical, professional knowledge and skills required for job acquisition, retention and advancement. The program provides opportunities to retain or upgrade present knowledge and skills. The program emphasizes welding theory and practical application necessary for successful employment. Program graduates have the qualifications of a welding and joining technician and are prepared to take qualification tests.